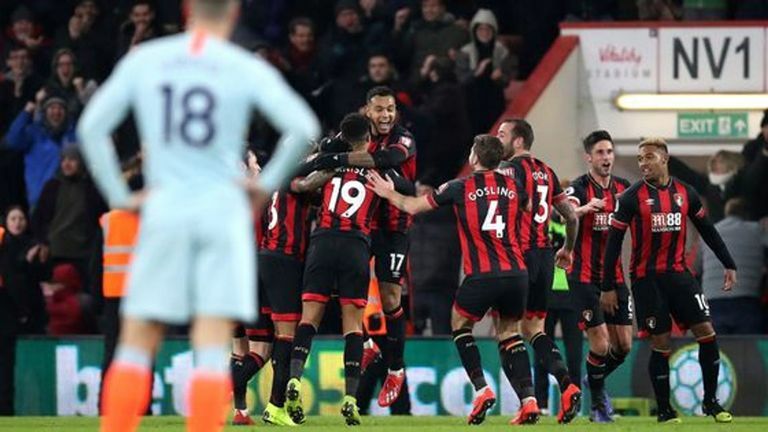 Chelsea should be ashamed of the manner of their defeat at Bournemouth, according to Antonio Rudiger. The Blues were blown away in the second half at the Vitality Stadium as they lost in the Premier League by a four-goal margin for only the second time, and the first in over 22 years. "Everyone needs to be ashamed of what happened in the last game," Germany international Rudiger said. "Everyone needs to think very deeply about that because you can win, lose or draw, but it's the manner which is important. "In the second half, I can't really describe it. We went out and they scored after two minutes then things went very badly. Nothing came from us - N'Golo [Kante] had a half chance but that was it. "If you look at the view of football, we made it too easy for Bournemouth by losing the ball up front - everyone knows Bournemouth are going on the counter, and they were waiting for this. "We have played better this season and that's what hurts, we didn't really try to change this result, that is what is bad." Rudiger has demanded a response after a performance he feels was not akin to a team that claim to be a top side and has stressed the importance of going back to basics. Highlights from Bournemouth's win over Chelsea in the Premier League. "We call ourselves a top team, but this cannot happen to us," he added. "We have to be mentally strong for the rest of the season. "It's clear now, we are Chelsea, there has been a lot of criticism from outside but here we must be cool in our mind and be honest with ourselves. "If we speak about last season, we were solid in defence. Granted it was a different system, but we need to go back to basics because it's not normal for a Bournemouth player to take on four defenders and go through. "Those basics are to win challenges, to look for challenges. It's nice if you have possession but everyone needs to know what their job is, which is, first and foremost, getting a clean sheet. "We have to find continuity because right now there are too many ups and downs. We have to win against Huddersfield and show a big reaction after the Bournemouth defeat." 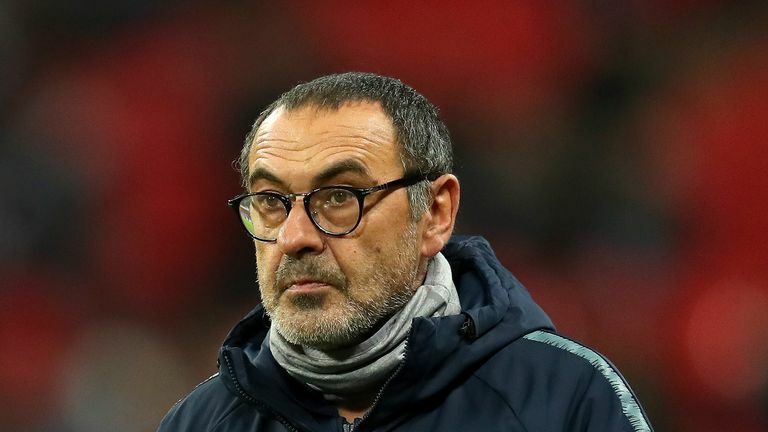 Maurizio Sarri admits he did not anticipate taking over as Chelsea head coach would prove to be so difficult. Perhaps the only positive from Chelsea's defeat at Bournemouth could be the delivery of a timely wake-up call for Maurizio Sarri's squad ahead of a season-defining February. The Blues face Manchester City, Manchester United and Tottenham in the Premier League before ending the month by taking on City in the Carabao Cup final at Wembley. "This month we will show our real face, everyone needs to be ready for that," Rudiger says. "There is a lot on the line. "The outcome in this month will show which way we go. Everyone needs to know what's going on right now, if you think as an individual you will fail."